SKS offers quality plastic bag sealers which are the #1selling sealers in the United States with over a million plastic bag sealers in use. All of the sealers are pretested and provide a warranty that guarantees dependability and durability. The plastic bag sealer is perfect for a multitude of packaging applications. 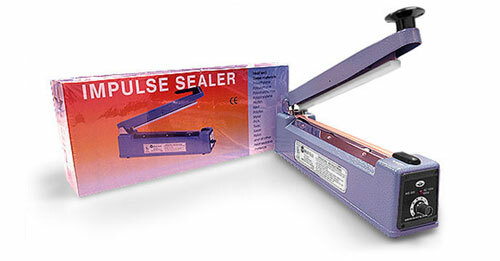 The sealer provides exceptional air and watertight seals on most plastic materials up to 6 mil thickness.